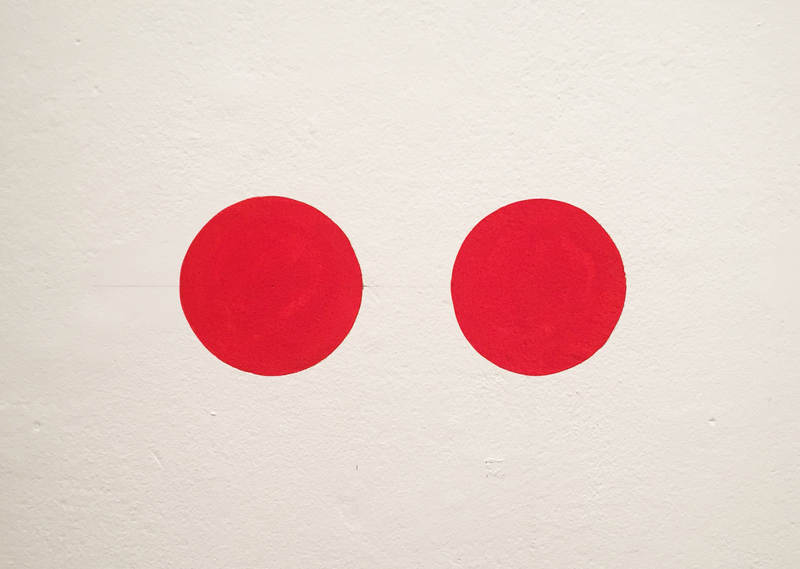 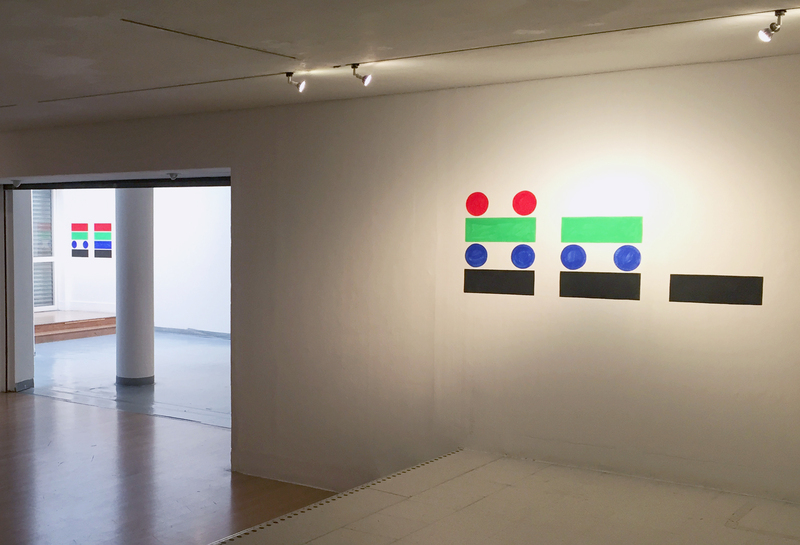 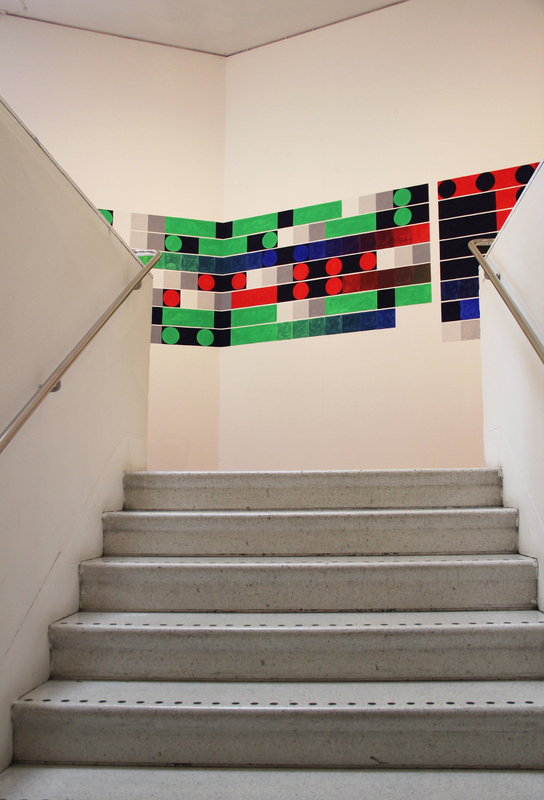 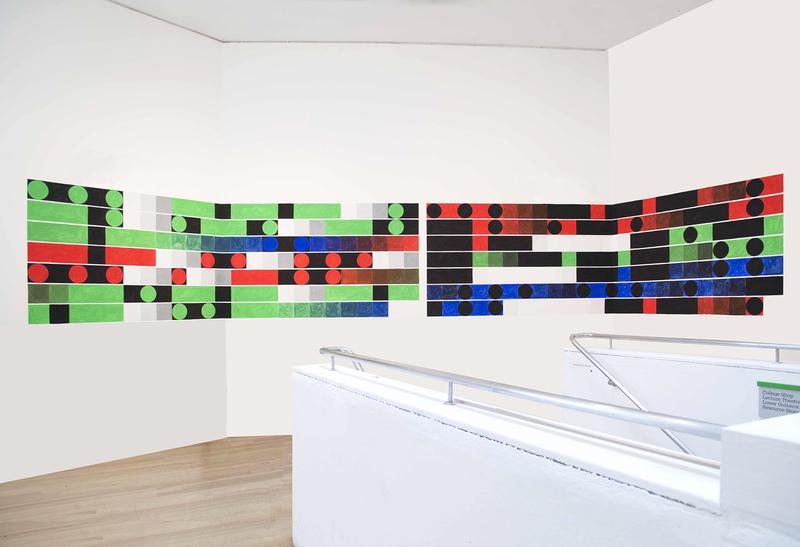 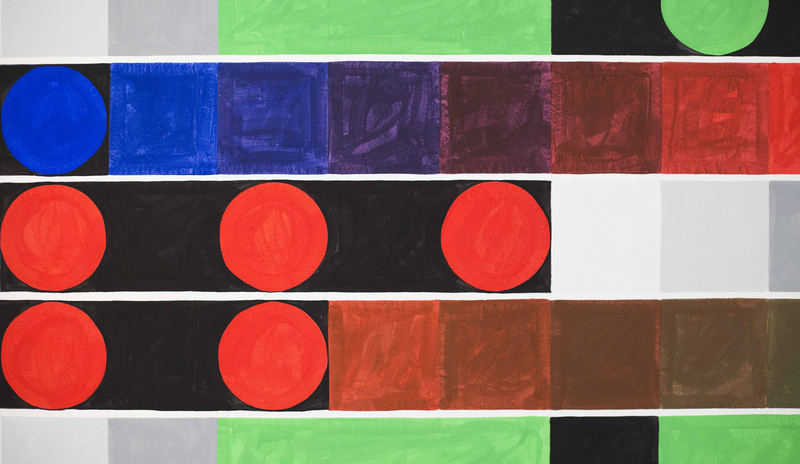 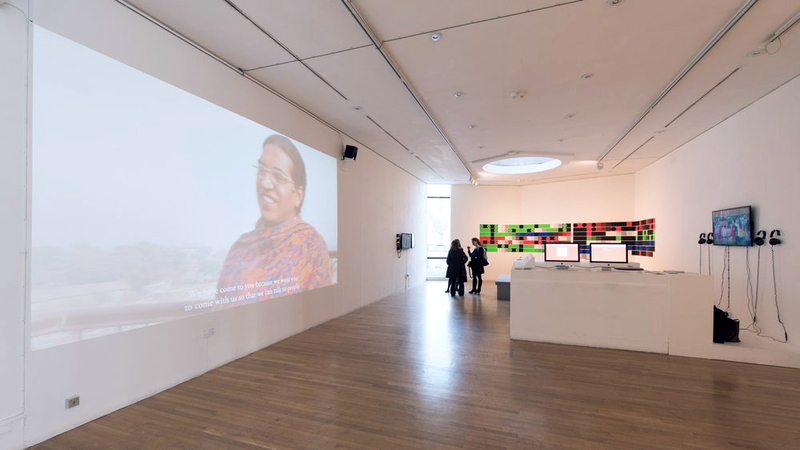 This large-scale diptych and smaller addendum works use the form of Morse code, and its colours reference the RGB digital palette. 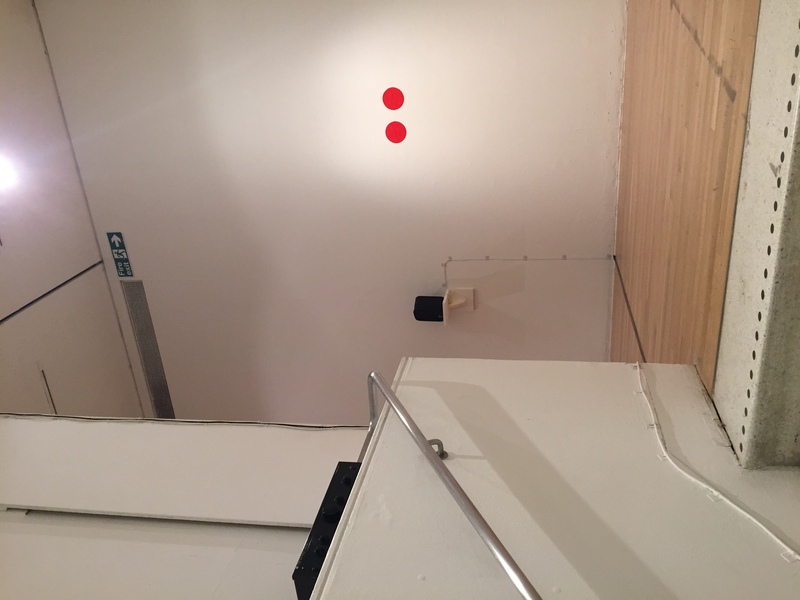 “Sorry you missed me” (the name of the work and the title of the show) and “Sorry I missed you” are two encrypted messages that face each other in dialogue, considering the failed encounters that often arise in the transfer of information. 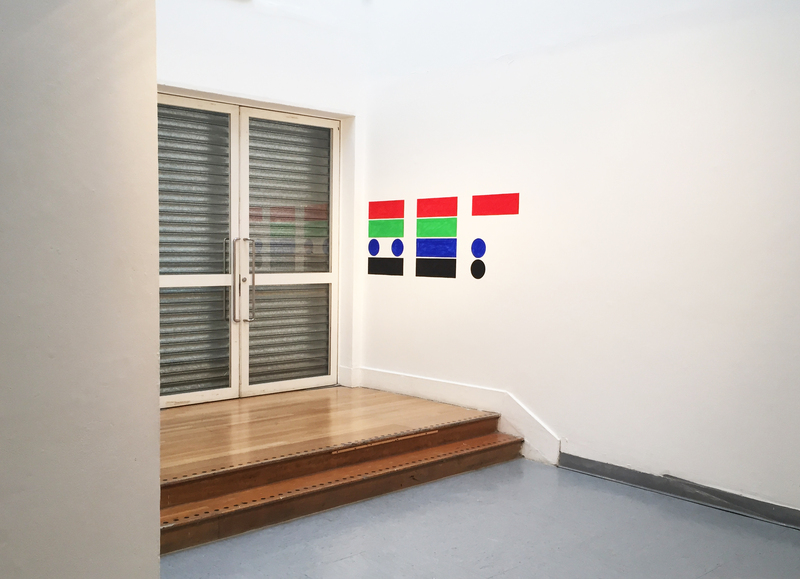 The work was commissioned by Inês Gerald’s Cardoso, Rafael Barber Cortell, Tanya Karina Pragnell Lopez, Léa Herbeth and Nephertiti Oboshie Schandorf as part of their RCA Curating MA graduate show. 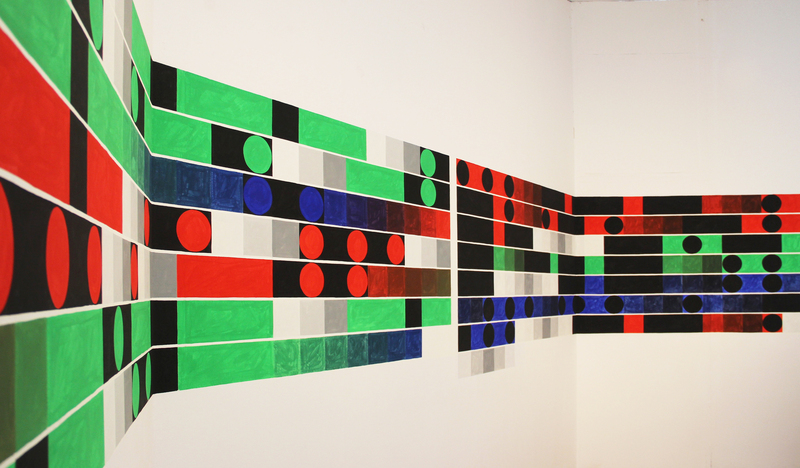 Sorry you missed me links six artists negotiating codes of transmission. 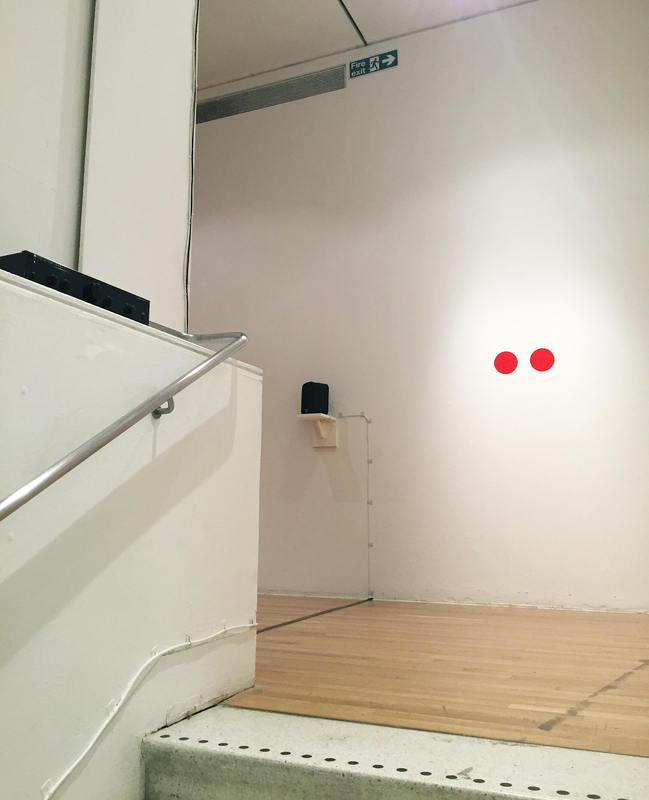 The original performances, sound-based sculpture, temporary wall painting and online commissions exist in between the other projects, inviting audiences to navigate moments of contamination and come into contact with traces of missed connections.